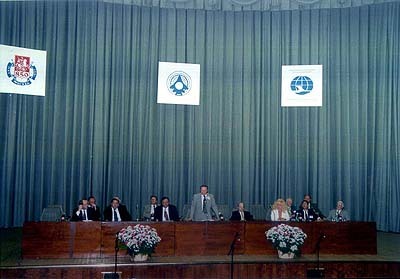 The First International Aerospace Congress IAC'94 was held in Moscow, Russia, August 14-19, 1994. More than 1000 scientists, designers, engineers, astronauts from 29 countries participated in the IAC'94. It allowed to extend the contacts among different groups of representatives of aerospace complexes, provided the unique possibility to exchange the obtained knowledge and experience in the field of space science and technology. 767 papers were presented and included in Proceedings of the IAC'94. The Second International Aerospace Congress IAC'97 held in Moscow, Russia, August 31- September 5, 1997 was dedicated to 40th Anniversary of the launch of the First Artificial Satellite and to the 850th Anniversary of the founding of the City of Moscow. 976 participants from 26 countries took part in the Congress. During the Congress 18 plenary papers were presented, 14 Sections were operating and 3 Round Tables were conducted. Upon the results of the Congress the "Declaration" was adopted and sent to the United Nations, UNEP, UNESCO, UNIDO, ECOSOC, ICAO and to other international organizations. On behalf of the Government of Moscow I would like to express my sincere gratitude and welcome to the organizers, participants and guests of the Third International Aerospace Congress. It is symbolic that the Third International Aerospace Congress is held in the Capital of the Russian Federation - the City of Moscow, the impact of which into the development of the aerospace science can hardly be overestimated. I am certain that this Congress will allow to take a look in XXI century from the scientific point of view, to discuss the latest scientific, design and technological aspects of the space exploration. The successful realization of the Congress goals and objectives will become the noticeable contribution to solving vital problems of Russian and international aerospace complex. I wish the organizers and participants of the Congress personal happiness, helth and the great success in their creative work.